“... in the law relating to the formation of contract, the promise to do a thing may often be the consideration, but when one is considering the law of failure of consideration and of the quasi-contractual right to recover money on that ground, it is, generally speaking, not the promise which is referred to as the consideration, but the performance of the promise. The money was paid to secure performance and, if performance fails the inducement which brought about the payment is not fulfilled. 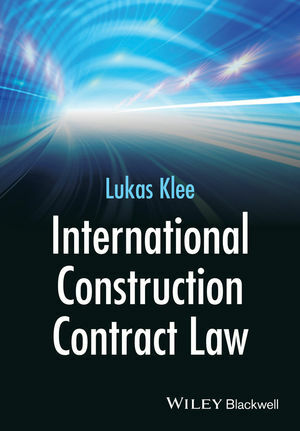 Mason and Carter, in Restitution Law in Australia, point out that cases decided in relation to the common indebitatus counts, although they involved an implied contract analysis which is now out of date, ‘form the precedents which make up the legal matrix of restitution law’. Lord Mansfield, in Moses vMacferlan, referred to money paid ‘upon a consideration which happens to fail’ as an example of money which, ex aequo et bono, a defendant ought to refund and, therefore, money for the recovery of which the count for money had and received lies. 50	On this basis, I accept the submissions of the first plaintiff that the Advance Moneys were available to defray “the deposit due under the Contract of Sale” and that in circumstances where performance of that contract was not possible, and in fact never proffered, it was entitled to repayment of the Advance Moneys as moneys had and received by the first defendant (through its agent). In my view, it is clear that the bargain had collapsed in toto and that this is not a case of a partial failure of consideration. The first plaintiff was seeking to buy an indivisible and undivided property, not parts or components. This circumstance distinguishes the present circumstances from those the subject of Rugg v Minett where the plaintiff bought at auction a number of casks of oil. The contents of each cask were to be made up after the auction by the seller to the prescribed quantity so that the property in a cask did not pass to the plaintiff until this had been done. The plaintiff paid in advance a sum of money on account of his purchases generally, but a fire occurred after some of the casks had been filled up, while the others had not. The plaintiff’s action was to recover the money he had paid as money received by the defendants to the use of the plaintiffs. The Court of King’s Bench ruled that this cause of action succeeded in respect of the casks which at the time of the fire had not been filled up to the prescribed quantity. 51	Here, as at 15 October 2009, the first defendant had become unable, as a matter of fact, to sell the property under the Contract of Sale provided for under the Option Agreement. This followed because the plan of subdivision, as defined in the Option Agreement, could not be registered. Consequently, for the reasons indicated, the Advance Moneys paid under the Option Agreement are repayable in full to the first plaintiff. The discussion in JD No 6 v P Battlay Holdings is a reminder that money had and received, or total failure of consideration, is a wide restitutionary claim and the 'consideration' is not always in the context of a contract. For instance, Martin v Andrews involved an claim for the repayment of conduct money for a subpoena as money had and received when a case settled before trial. Also the 'consideration' is not always the actual consideration under a contract, but it could be some fact, purpose or assumption on which a contract was based when it was executed, such as in Roxborough v Rothmans of Pall Mall Australia Ltd.